Following the untimely death of Amy Winehouse on the 23rd of July, not only has she left her fans bereft but also a line of clothing with Fred Perry that remains unfinished. However, apart from all the sad news that surrounds her death, her album ‘Back to Black’ has overtaken James Blunt’s album ‘Back to Bedlam’ this week as the bestselling in the UK. It’s no surprise that it surpassed James Blunt’s record sales by registering 3.26 million sales ever since news of her death was released by the press for the last three weeks. 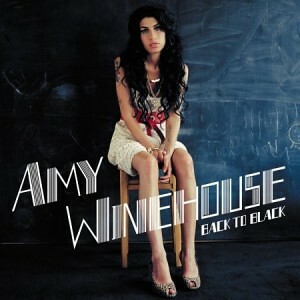 For people who haven’t followed Amy Wineheart’s music, Back to Black was her second album and final album before her death this year. Along with this, musicians around the world are showing their solidarity to Amy Winehouse by paying tribute to her music, one being George Michael, who sang “Love is a losing game” while Tony Bennett will make an introduction to the Amy Winehouse tribute in this year’s MTV Video Music Awards. Interestingly, both Amy and Tony had recorded “Body and Soul” for his Duets II album which will be released on September 19, 2011, and as a single as well, so that the proceeds will go towards a foundation that will help people struggling with addiction. This comes immediately after the toxicology reports which stated that illegal drugs weren’t the reason for her demise but the presence of alcohol was yet it was still inconclusive whether it was the cause of Amy’s mysterious death or not. 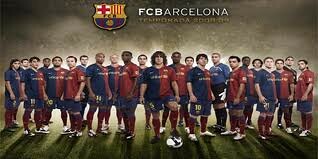 They call it the La Masia. The very bane of their arch-rivals, Real Madrid, it seems. When translated literally from Spanish to English, its meaning is ‘the farmhouse’ but the truth is that it is the heart and soul of Barca’s success for so many decades now. To put it simply, it’s the youth academy for the renowned club known as FC Barcelona. Experts attribute Barca’s success to the training that goes on here… and right from Josep Guardiola all the way to Thiago Motta every player that you now see on your television sets in big matches have been through the rigor of training preparing for the “big time” right at this location which is near their stadium, and known to fans as the Camp Nou. But what does this have to do with the current success that FC Barcelona is enjoying, thanks to win both the La Liga BBVA and the Champions’ League? A lot, actually, and this can be attributed to the return of Cesc Fabregas to complete the roster, just like in the good old days when they used to play for the Barca youth team, and smash their opponents. Nothing substitutes long years of training and hard work, and it’s something that Pep is pretty aware of who also graduated from the same system with the likes of Xavi, Iniesta, Valdes and Puyol. So, will the La Masia class of ’87 work their magic together this year? Only time will tell as the ‘old guard’ changes… but you can be sure that these classmates will have fun alright! While exercise might be the ideal solution for weight loss especially for those who aren’t dangerously obese, there is another solution that exists for those who have no choice but to lose weight soon, and they call it lap band surgery. Not only is this type of surgery a reversible one, there is no cutting or stapling with this type of procedure. Interestingly, all that one needs to do if you want to reverse the process is to remove the band from the stomach. In addition, you will just have to readjust and fill the band instead of going through another surgical procedure just in case the patient does not find results with this kind of a surgery. As opposed to the gastric bypass surgery, the statistics involved with this kind of surgery clearly indicates that it is much safer in terms of mortalities and even the number of cases that have to deal with complications after the surgery is complete. If that’s not enough, your stay at the hospital is for a very short time while the recovery period is quick as well. In most cases, people who opt for this kind of procedure will enjoy an overall improvement in health while seeing symptoms such as cholesterol, blood pressure, asthma, diabetes, and arthritis improve. Following the controversy surrounding Kitty Brucknell it seems as if Simon Cowell has his hands full even before the first show opens in the United States in September. To make matters worse, Simon Fuller has sued Fox as he claims that the promise of a role as an executive producer of the X Factor USA along with millions of dollars in fees has not been offered to him. 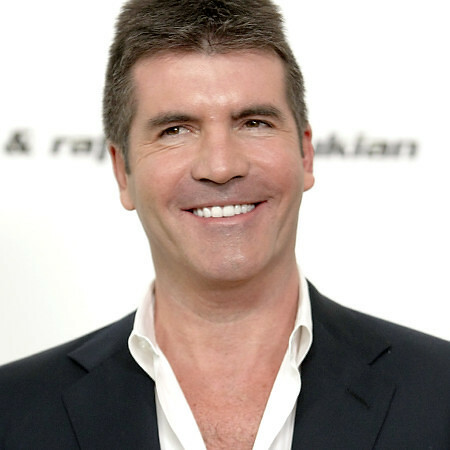 Even though Simon Cowell is not directly involved with the lawsuit, he has recently clarified his stand on the matter by clearly asking Simon Fuller to keep his hands off “The X Factor”. His logic is simple: If Simon Fuller is not currently contributing to the show, then why should he be given that role? Simon Fuller and his lawyers believe that the show, X Factor, is exactly like the popular TV show, American Idol, and based on an earlier agreement made between the two Simons, that he was promised executive producer credit as well as fees for the show. Come September, the X Factor will be released in the United States, and according to Simon Fuller, it’s time to get what he deserves as agreed earlier with both the companies, Fremantle and Fox. Simon Cowell, on the other hand, believes that no such deal occurred between the parties and most of all, he wasn’t involved with the deal, to say the least. In fact, he goes as far as to say that the litigation issues with the X Factor in the UK did not include any such agreement by any of the parties that are a part of this new lawsuit. Fox agrees with Simon Cowell for the moment, even though it will end up airing both shows going forward since there has been no injunction to stop the production of the X Factor in the United States. But Simon is pretty clear about one thing: Simon Fuller will not get what he wants with the X Factor!